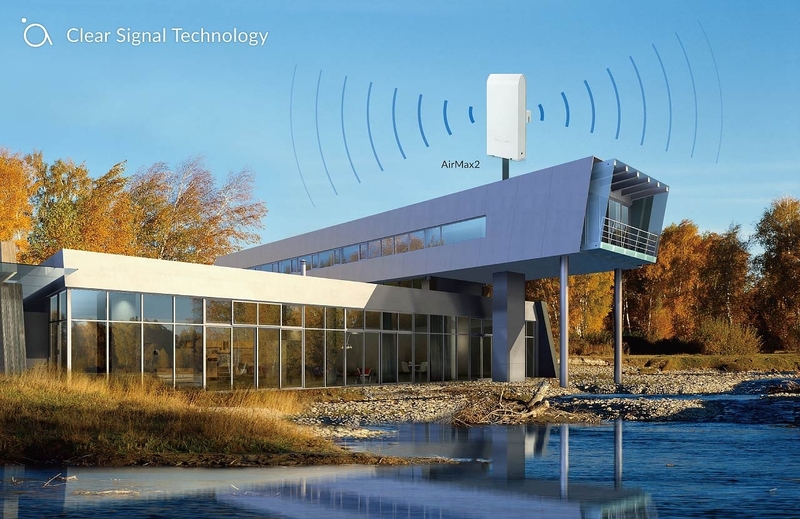 The AirMax2 comes with almost everything you need to build 2.4GHz outdoor connection instantly. 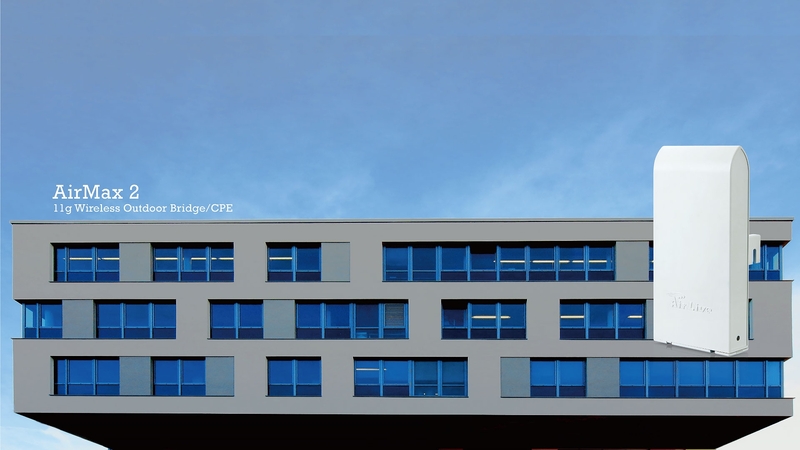 The CPE enclosure is built with high grade anti-UV materials for protection from prolonged sunshine and rain. Therefore, it is suitable for both outdoor and industrial applications. The AirMax2’s high powered 11g/b radio can deliver up to 26dBm(20dBm in EU) average output power. 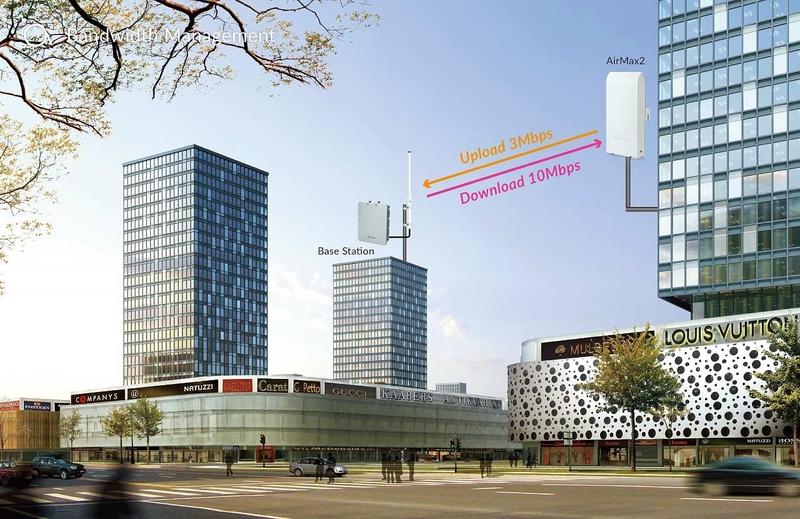 It can achieve over 3km using the built-in antenna. If more distance is required, you can attach an external antenna using the R-SMA antenna connector. 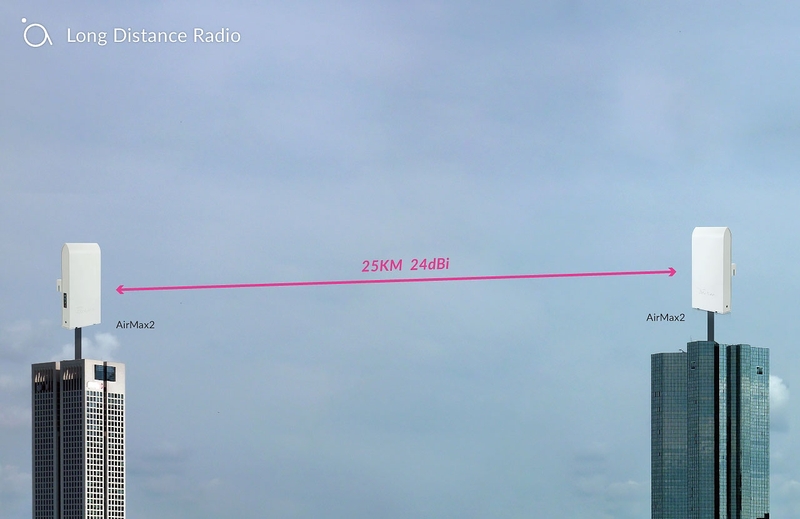 In an actual outdoor test, the AirMax2 achieved over 25km distance using a 24dBi grid antenna. 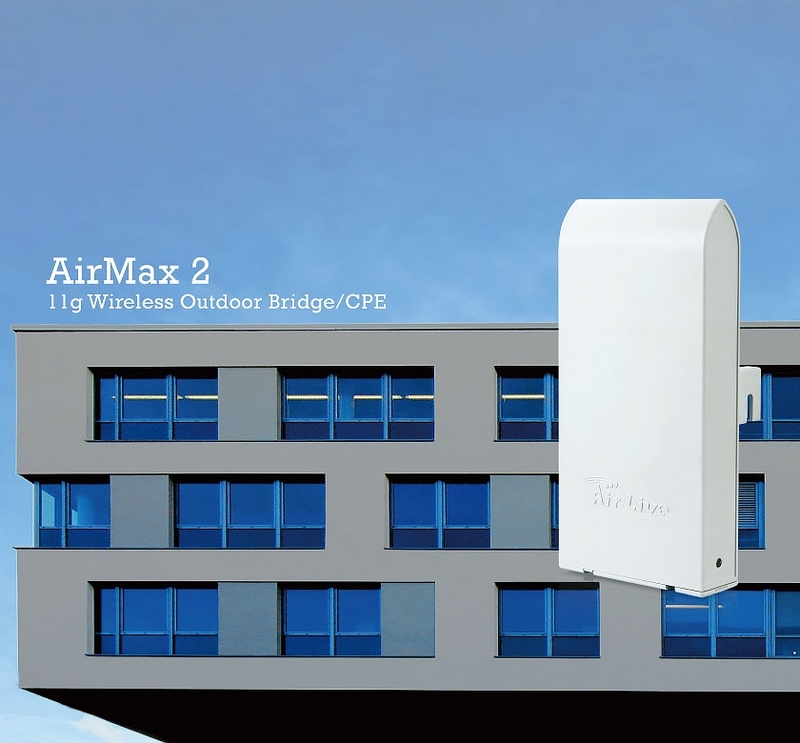 The AirMax2 can function as an AP, Client, Bridge, Repeater, WISP Router or AP Router. Therefore, you can instantly transform the CPE to different wireless applications. Whether you are building a WISP network or just installing a bridge inside your factory, AirMax2 has the right software functions for you. 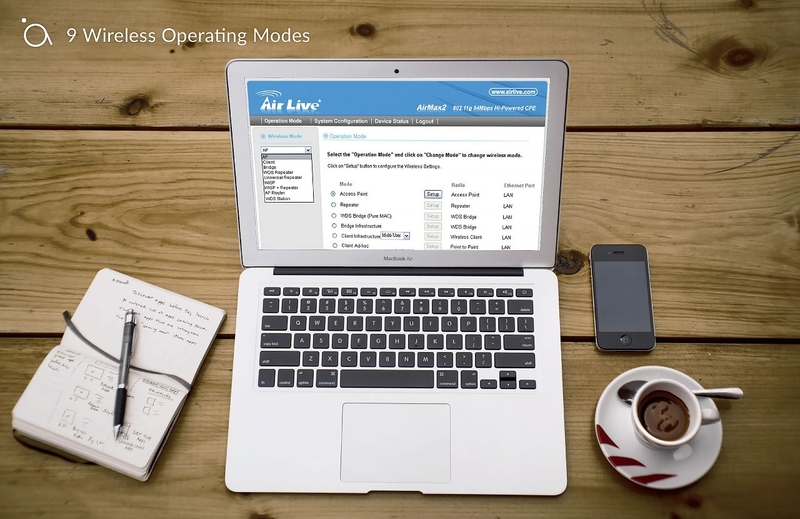 AirMax2 provides the administrator with the capability to control user's bandwidth. The administrators can define different classes of connection speed for different subscription, ensuring smooth data and video transmission. Antenna Angle：Horizontal 70”, Vertical 38”.